Blog Do I need CRM and Telephony integration for my business? Do I need CRM and Telephony integration for my business? Computer Telephony Integration or CTI is the technology used to improve the effectiveness of the communication experience in a customer service environment. The goal of a CTI solution is to provide a customer service representative with in-context and pertinent data about a particular contact or lead. This information is usually offered in the form of specifc contact details, call history, purchase history, buying preferences, open tickets, invoices, etc. Imagine sales people being able to know specific associated sales opportunities to a contact, or the value of deal in progress right before starting a conversation; this helps a representative to be more in context with a specific business case. Or imagine being able to jump to an open case or ticket before a call is even answered or a chat started because we know everything about the contact; this increases customer satisfaction. CTI is important because it presents all the important data of a specific lead or contact at the moment of a conversation and regardless if the conversation is started via a phone call, a web chat or Facebook post. The retrieval of pertinent information for such contact enriches the communication experience. An insurance company was looking to improve the efficiency of the customer service calls. 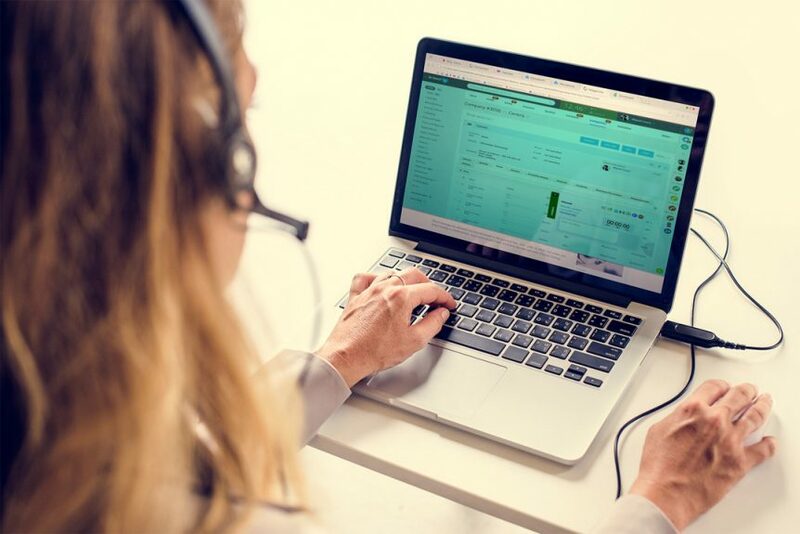 The company utilized a VoIP system and a Salesforce CRM but the customer reps were taking considerable time trying to identify the customer. By having to ask for customer information and conducting searches in the CRM, above 40 seconds of time were used inefficiently. The company then identified an immediate requirement for a CTI solution to ensure a better and more efficient customer service. After conducting initial researches the insurance company chose a solution from LinkedIP that provided integration between the CRM, the phone system and their agents. After the integration customer reps were able to identify customers and associated open tickets even before answering a call. Customer Relationship Management gets better when CTI is used because it allows communication platforms with voice and other channels (SMS, email, fax, social channels, etc) to obtain rapidly information from records stored in a CRM hence making an organization’s communications more productive and effective.